VISIT THE BEEHIVE AND DISCOVER WHAT THE BEES HAVE IN STORE FOR YOU ! Visit the various beehives and see what keeps the bees buzzing, play over 20 educational games in which your abilities will be challenged. 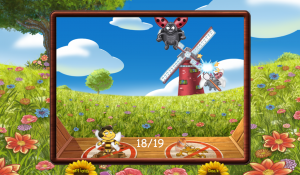 Play memory to sharpen up your mind, guide the bees to the right entrance to improve your coordination skills, these are just 2 of many games available. 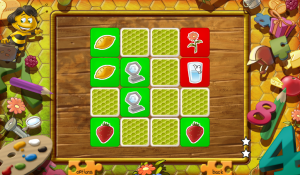 Discovering Bees offers 4 free games in one, with increasing difficulty levels. Also collect all stars, you might even get a part of your first BEE CERTIFICATE! Discovering Bees has been handcrafted by the best artists in regards to music and animations, the music was specially made by well known music composers so to offer you the best possible quality.